David Halperin’s How To Be Gay, reviewed. What do gay men have to be proud of? Each June, gays in New York answer this question in a variety of ways. 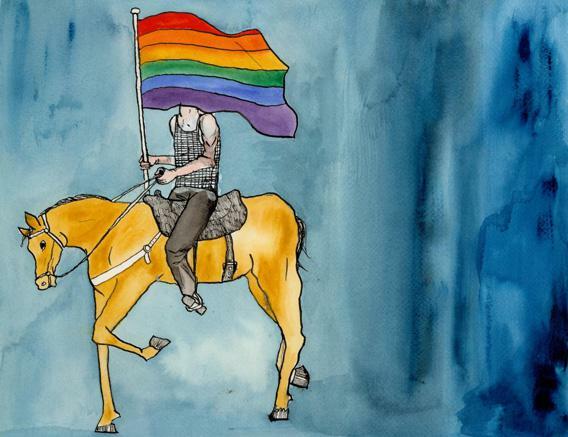 For many men (especially younger ones), “Pride” is a calendar entry more than it’s an emotion. It’s a long weekend of sweaty parties and blurry brunches; a workout goal and shopping excuse; an almost guaranteed chance to get laid and, of course, an excuse to parade. Still, these gays might argue that the big Sunday march down Fifth Avenue is the place to look for pride; clearly, we have enormous corporations on our side, not to mention politicians, progressive churches, and patriotic civic clubs. Aside from a few drag queens and muscle boys tossed in for old-timey color, the parade displays precisely the “We’re just like you” image we’ve worked so hard to affect. The parade travels from commercial Midtown to the West Village; one wonders if reversing the traditional route wouldn’t better align with the general push of gay politics for the last 40 years. But there’s another Pride march, smaller and unsponsored and far less modern. In the Drag March, a rag-tag procession of queens, leather daddies, Radical Faeries and their fans traipse from Tompkins Square Park in the East Village to the Stonewall Inn in the West. Frame drums and classic disco mark the beat, and the march concludes with a group performance of “Somewhere Over the Rainbow” in the very spot that a group of pissed-off queens and queers announced their intention to start that difficult climb back in 1969. From reading his provocatively titled critical cri de coeur How To Be Gay, one gets the sense that David Halperin would take more pride in singing along with all those ramshackle Judys than in walking in lockstep with the Human Rights Campaign. To summarize Halperin’s ambitious book is tricky, but think of it as an exploration of the tension between the official Pride Parade, celebrating post-Stonewall gay identity, and the Drag March, celebrating pre-liberation gay culture. The book was born in a class Halperin offered in 2000 at the University of Michigan, where he is a professor of the history and theory of sexuality. Also called “How To Be Gay,” that course raised a remarkable furor in conservative circles, stemming from familiar charges that the sly academic was angling to seduce seminar-loads of straight men into the homosexual lifestyle. Of course, this was not the case—at least half of his students were straight women—but the hissy fit was enough to spur the Michigan legislature to consider granting itself veto power over public-university course listings. Not all criticism, however, came from the political right. As Halperin reports in the book, many gay men were also upset by his wish to identify and examine something called the “gay sensibility” in terms of supposedly retrograde obsessions like divas, musical theater, and interior design. Halperin explains why: “[Studying gay male culture] violates, in particular, the official post-Stonewall creed that gay men are no different from anybody else, that sexual object-choice has nothing to do with gender style, that gay sexuality has no relation to femininity, and that homosexuality is a sexual orientation, not a culture or a subculture.” Luckily for those of us who already believed in such a thing as a unique gay male culture— indeed, for those of us who live in it—Halperin plunged ahead, delivering a study that, though uneven as a piece of writing, is a deeply insightful intellectual exercise. What How To be Gay lacks most is a coherent plan for how to read it. In navigating Halperin’s occasionally dense, often repetitive, and always meandering arguments from psychoanalysis to aesthetics to erotics to politics, usually in the same chapter, I sometimes wished that instead Halperin and I could have just kikied about his points over a cocktail. Halperin has said that the book represents “an interim report” from a larger, life’s work-sized project, and it shows. But the illuminating vistas Halperin stumbles upon along the way are definitely worth the journey. 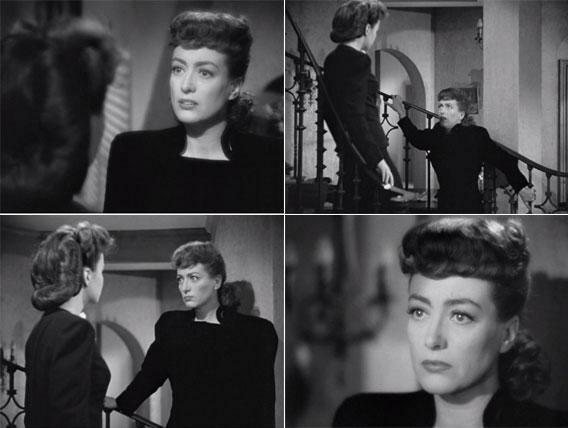 Joan Crawford’s 1945 Mildred Pierce. But Halperin has a harder time pinning that gay culture for study. Interestingly, he chooses one small example—a particularly campy scene from Joan Crawford’s 1945 Mildred Pierce—from which to tease out all manner of threads. Many do stand up to his tugging: His analysis of the gendered differences between high tragedy and melodrama is particularly compelling, as is his insistence on a style of “gay femininity” that has nothing to do with real women. But others are more problematic. Do gay relationships really work best when the couple “lives [their] love life knowingly as a melodrama”? Indeed, gay sensibility resists this kind of exhaustive exegesis because it resides everywhere and nowhere all at once. There’s something of the observer effect about it—the more precisely you try to isolate gay culture, the further distorted your measurements tend to be. 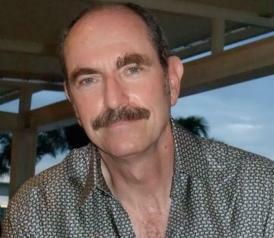 Authors like Wayne Koestenbaum, who approach their subjects with sidelong glances rather than academic stares (see his opera and Harpo Marx studies, for example), are often more successful in cataloging gay sensibility. Where would we be without the insights, the impertinence, the unfazed critical intelligence provided by gay subculture? And where would we be without its … awareness of so much about the way we live our lives that is particular to specific social forms? Without that alienated perspective, those social forms would pass for obvious, or natural—which is to say, they would remain invisible, and the shape of our existence would escape us. A tragic fate indeed. Perhaps Halperin should fulfill all those conservative nightmares—or were they wet dreams?—and revive his course as a true indoctrination machine, a kind of school of queer cosmetology. Our larger culture could use the makeover. How To Be Gay by David M. Halperin. Belknap Press of Harvard University Press.